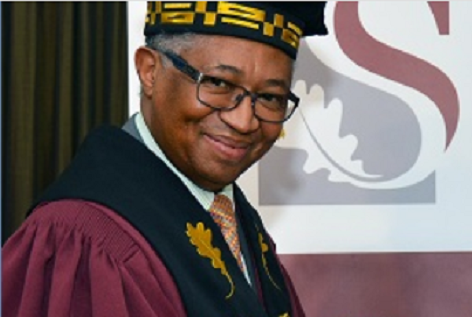 Russel Botman, a friend who was a Reformed theologian and university president, died on June 28 in Stellenbosch, South Africa. A sixty-year old dying in his sleep is not typically a matter for international attention. But, in later press investigation and commentary a more complex story emerged. The context of his life and the circumstances of his death should interest us because they illustrate a theme about the personal toll exacted on those who would follow in the gospel train of Mandela, Tutu and King in trying to implement the changes needed to live in a just and democratic society. These events point to the slow pace of change in the new South Africa, and to those who are impeding it. Despite it being over twenty years since Mandela walked free, there is still a considerable under-representation of the Black majority – students, staff and faculty – in the universities of the nation. Those trying to change that are called “transformation officers,” either at the head of the university or in a special unit designed to monitor and promote change. Russel Botman was at the top of the list of people trying to transform a prestigious institution. Dr. Botman was a person of mixed race, so he was classified as “coloured” by the Apartheid regime. Therefore he had attended the University of the Western Cape, the school no one ever really wanted. The Whites begrudged its existence and the coloured folks wanted to go to the already-existing universities, like Cape Town, Stellenbosch and Witwatersrand. Russel felt called to the ministry, and he later pursued that vocation before finding his true calling in academic life. While at Western Cape he sat under the wise counsel of Professor Daan Cloete and the challenging insights of Professor Jaap Durand. The latter gave his students their marching orders: “I challenge you to find the theological essence of the judgment on Apartheid.” That is exactly what his students did. 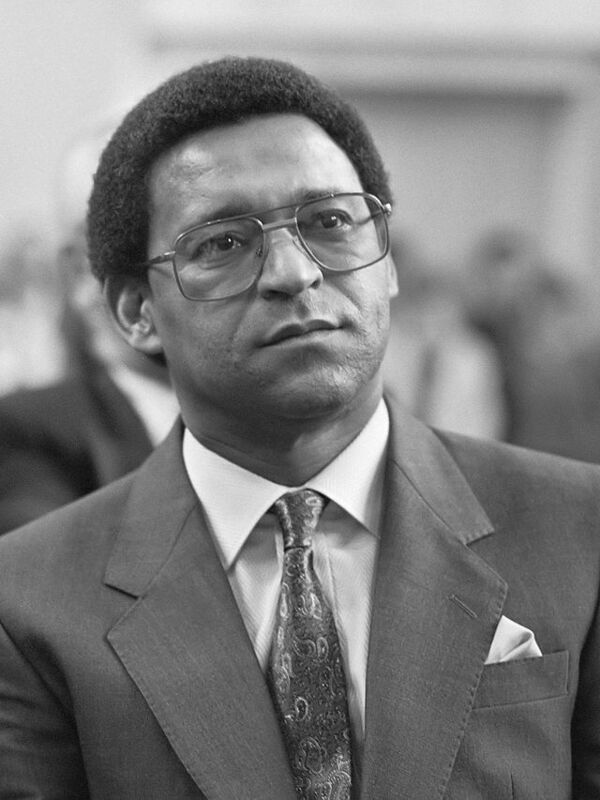 Russel joined others, especially the charismatic chaplain, Allan Boesak, to incline their theological studies towards the pressing questions of opposing Apartheid. It was a complicated system of racial and other classifications. Everything fit into a whole, and it was all undergirded by theology. The architects of Apartheid (ironically, many from the university Botman was later to head), drew on the works of the Dutch political and religious leader of a century ago, Abraham Kuyper [see James Bratt’s recent biography of Kuyper]. Kuyper’s vast system called for a cultural theology of differentiation into “sovereign spheres.” In South Africa that was used to support a differentiated racial system. But the students at Western Cape would not allow that hijacking of the neo-Calvinist Reformed faith. They rediscovered the social justice side of the complex Kuyper. Allan Boesak would write in his landmark book, Black and Reformed, that the full Kuyperian heritage was for all peoples and it spoke the words of social justice. They worked on this in the nearby town of Belhar, thus the document they produced became known as “The Belhar Confession.” They stayed with it and got various synods in many countries to declare that the theological basis for Apartheid was a heresy. Therefore, when Apartheid fell, it was as much a religious revolution as a political one. Russel’s area of vocation in post-Apartheid South Africa was religious and academic life. He was called to be a “transformational” leader. Like Bishop Tutu, Russel was a no-nonsense gospel advocate for social justice; but also like Tutu, he knew that that there was “no future without forgiveness.” That was Russel’s genius as a leader: tough-minded thinking and a gentle heart. Beyond that, he was a good scholar. Last year Princeton Seminary awarded him the prestigious “Abraham Kuyper Prize for Excellence in Theology and Public Life.” The world of South African theology had changed. But, the realities on the ground were not so open to change. Of his books, one I treasure, and have on my desk as I type this, is (with Robin Peterson), To Remember and to Heal: Theological and Psychological Reflections on Truth and Reconciliation. The foreword is by Bishop Tutu. Those were the qualities that, one supposes, the University of Stellenbosch saw in asking him first to join the faculty in 2000, and then, a few years later to join the administration. In 2007 he was named Vice-Chancellor, the first non-White ever to be tapped to lead a historically-White university. Because he was bilingual (English and Afrikaans), as are most “coloured” people (in the old Apartheid categories), he was right to lead Stellenbosch, a place where language rights is a volatile part of the academic scene. It was where many Apartheid-era thinkers had been schooled. Indeed, six of the seven prime ministers were graduates of Stellenbosch, including Apartheid’s main architect, H. F. Verwoerd. 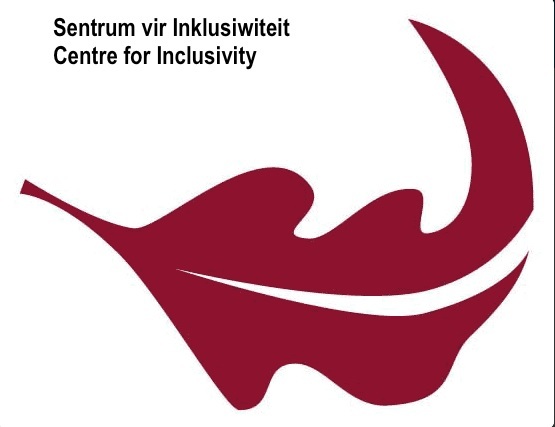 Centre for Inclusivity at Stellenbosch. Russel had considerable success in his first five-year term in turning Stellenbosch away from what he called a culture of exclusion, in which White and male leadership and perspectives were seen to be normative. But in his second term he intended to move the university toward a culture of inclusion. He likened his task “to redesigning and rebuilding a huge passenger plane – while flying it.” His goal, he said, was to have Stellenbosch be a place “where the daughter of a farm worker would feel equal to the son of a farmer.” The vehicle for the way forward was to be a Centre for Inclusivity, which was to monitor and promote inclusion on campus. Some on the Council (similar to a Board of Trustees), a minority but a formidable one, bitterly opposed the Centre and what it stood for. To them it was an affront to their heritage and all they thought the university had valued for over a century. They did what they could to frustrate, discredit, and undermine Russel. They planted rumors and innuendo in local media, especially in the Afrikaans-language radio stations and newspapers. They leaked the agenda of the Council meetings beforehand, so that the local Afrikaans press could debate the issues before they were discussed in the Council. On the day before what was to be Botman’s last Council meeting, a local paper said there would be a motion of no confidence in him. There was none, but it was part of a campaign to rattle him and wear him down. The chair of the Council publicly deplored such actions by his colleagues. A few days later, on Friday June 27, 2014 Russel said he felt unwell, and went home. His heart stopped beating sometime overnight. We know who killed Russel Botman and why they did so. They will not be brought to justice. Russel Botman is gone now. Rest in peace, my friend. Yet, even now, I believe Russel would ask us to quiet our anger at those who pushed him to the edge, while at the same time, to renew our commitment to the goals he stood for. He would want us to stand with Dr. Martin Luther King in pointing to the arc of history and to the justice toward which it bends. Ronald A. Wells is Professor of History Emeritus at Calvin College, and is mostly retired, living in the foothills of the Smoky Mountains in Tennessee, where he directs the Symposium on Faith and Liberal Arts at Maryville College. This entry was posted in Ron Wells and tagged apartheid, Centre for Inclusivity, history, Russel Botman, South Africa, Stellenbosch. Bookmark the permalink. Insightfully, true contribution for a great soul of the church. May Russell’s discernment and leadership serve as inspiration for the faint hearted for justice, inclusivity and transformational theology. Thank You Sir for such a wonderful description of Russels Caracter and the circumstances he worked in. He died working for justice for all people. I am very proud of him. I found my peace in the fact that he fought for social justice all his life. That was what he wanted to do. . He was one of a kind. He was my brother. Thank you again. Dear Ron, thank you for that insightful reflection on a true disciple whom we now have to live without here on earth. I would just like to add that the article quoted is even too simplistic. The “relentless pressure” was from a dwindling conservative grouping. That pressure surely had a hand in opposing Russel Botman’s efforts to transformation of South African and African society in particular. What is however, more disturbing to me is that even those voices now crying out, “Who killed Russel Botman?” and venture to answer that question, could not always be counted in his support base, but some even went further in publicly questioning and casting suspicion on his efforts towards inclusivity. His leadership has always been in contestation. There was always somebody who knew how to do things better. There were also those who now dare to claim to have supported him, who have also contributed to the turmoil in his last few weeks. Russel Botman’s efforts cannot be measured by the turmoil in his last few days, it has to be measured in his relentless efforts to transform a university. What he has achieved in this regard is truely magnificent and for those achievements he surely had to have the greater majority support of the university community – which he had. In the church he also faced fierce and personal attacks against his moves towards unity and the academic education. Had the chair of Council only deplored the continuous actions by the conservative grouping, which in Botman’s last radio interview comprised 20%, throughout their terms to him during that last week, I would have agreed with you. But, indeed he did exactly the opposite in that last week of Russel’s life. Russel still owes him and the deputy chair a response in this regard.